ASYCUDA stands for Automated System for Customs Data. 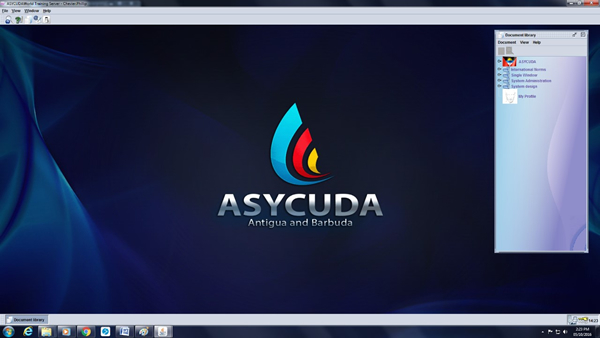 ASYCUDA has evolved over three generations ASYCUDA World being the latest update. The ASYCUDA World system makes use of cutting edge ITC technologies – including e-signature, biometrics, XML, to provide Governments and in particular Customs Administrations with new tools able to make dramatic improvements in the areas of security, trade efficiency and fight against corruption. ASYCUDA World means even greater tax revenue collection and lower transaction costs making it a showcase for e-government.